Not sure what Facebook, Twitter, Instagram, Snapchat, Linkedin or Youtube are? Unclear about which platforms your audience is most likely using? Struggling to understand how your digital presence affects your business? If you answered yes to any of these questions, then this course is for you! Social media 101 starts at the bery beginning. In this 1-hour seminar you will: Learn the ins-and-outs of the most popular social media networks for businesses, learn how to create and populate your own social media profiles and master the basics of using social media channels for business. 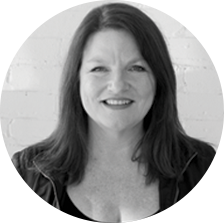 Having worked in marketing and PR agencies for just about her whole career – more than 20 years – in Canada, Britain and the USA (including running her own agency) Sherrilynne Starkie has learned that change is constant. She started out as a writer, then became and editor and a publication manager. Then moved into media relations, internal communications and other marketing communications stuff…like direct mail and email marketing. Blogging since 2004, she’s developed a deep understanding of Internet marketing and social networks. Sherrilynne built a reputation as a social media ‘guru’ back when that was the fashion and today digital communications is at the center of her work. Lately, she’s been helping organizations deal with some big challenges – everything from dealing with market disruption (think Uber) to aging work forces (think trade unions) to reputation management (think citizen engagement). She likes to volunteer in the community and right now is spending time on IABC and the Ottawa Senators Foundation. In the past she’s volunteered with Junior Achievement, Ottawa United Way and lots of others. Agency life is now behind her and she is working directly with clients on solving their problems and navigating change and challenges with smart, strategic digital communications. In this session, Dr. Haston will review a history of animal welfare, examining important trends in the industry, and then build a vision for the opportunities and challenges that we face in the future. It will focus on the importance of the human animal bond and how many constructs and narratives of the past need to be revisited. The session will also explore collaborative opportunities for philanthropy and for-profit organizations to work together. Dr. Haston received a Ph.D. in geophysics from the University of California Santa Barbara and a MBA in finance from Rice University. After working for Amoco and Arco in Houston, Dr. Haston moved to Colorado in 1998 where he started and grew a successful business in geophysical data processing. He had a strong desire to give back to the community and became involved with Humane Society of Boulder Valley as a volunteer, board member and board chair. 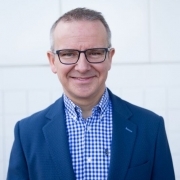 He also worked with both for profit and non-profit organizations on strategy and leadership development with a strong focus on creating mission-driven organizations. 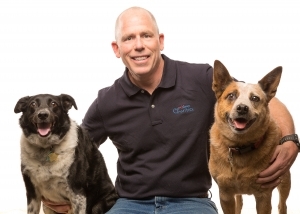 His passion for helping animals continued to grow and in 2012 he committed himself full time to animal welfare and took over as Executive Director at the Animal Assistance Foundation where he has merged his passion for science, business, and people to help the animals of Colorado and beyond. He has recently joined PetsMart Charities as the CAO. He has served on the boards of Humane Society of Boulder Valley, Colorado Pet Overpopulation Fund, PetAid Colorado, Catalyst Council, Emancipet, Animal Grant Makers, National Council on Pet Population and Shelter Animals Count. Are you constantly checking your social media channels to manage them? How do you organize your stories, graphics, and other content? Are you always posting new things as you discover them? Does it seem like you’re spending so much time on social media that it’s almost a second full-time job? Learn the stress free way to juggle social media using: Project management tools, scheduling software, free to cheap graphics software, cool analytic tools and other shortcuts. The Canadian Federation of Independent Business has been working hard for almost 50 years to set business owners up for success. Being a business owner means you have to manage hundreds of things a day, and it’s often the little things that will end up costing you in the long run. Come hear CFIB President Dan Kelly discuss important pitfalls to avoid in running a business, including tips to save money and time, and recent political changes and how they will affect your business. CFIB’s President, CEO and Chair of the Board of Governors, Dan is the lead spokesperson and advocate for the views of the Federation’s 110,000 small and medium-sized member businesses. He has been with CFIB since 1994, when he joined as Policy Analyst for the Prairies. Following stints in Winnipeg and Calgary, Dan was named Senior Vice-President, Legislative Affairs in 2009. In 2012, he replaced Catherine Swift as CEO, and became chair of the board in 2014. He has successfully spearheaded CFIB’s fights on many issues, including labour shortages, immigration, and credit and debit card fairness. Dan was born and raised in Winnipeg and graduated with a Bachelor of Commerce from the University of Manitoba. Immediately following university, he spent a year living and teaching in northern Japan. As a retailer, performance reach is your biggest daily challenge. How do you become more efficient and reach these objectives? By providing you with adequate means within the scope of your budget. Obtain some concrete advice that you will be able to easily implement to maximize your chances of success. The session will explore the data and research around the impact of animals on people and society. We will review the latest research on the human-animal bond both from a therapeutic perspective as well as from a more epidemiological view. The session will also look at data around the economic impact of pets in communities. We will examine challenges faced by pet ownership as well as the impact of pet homelessness on community well-being.